Desmond Konney, a Mechanical Engineer, has a passion for solving some of humanity’s greatest challenges. 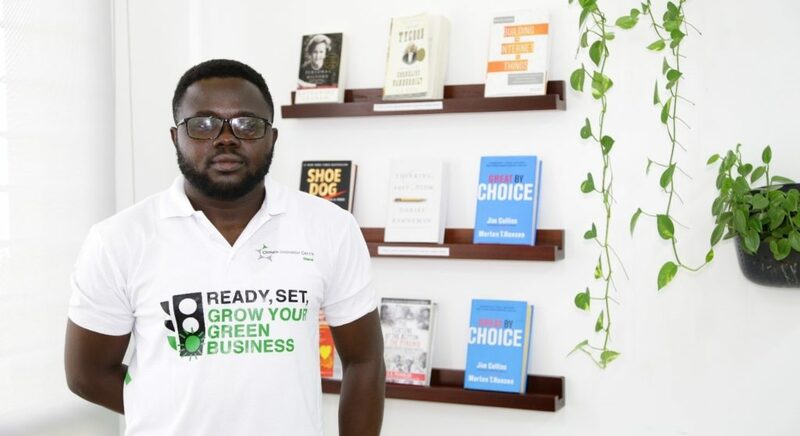 As a serial entrepreneur and innovator, Desmond has worked on several innovative renewable energy projects, including building a solar-powered incubator for hospitals and designing the first portable biogas production unit for residential properties. Desmond is interested in mechanical product design, Internet of Things (IoT), machine learning, and renewable energy. He holds a firm belief that Africa is on a road to economic transformation and has resolved to play a part in that change process. Cibus Technologies Limited is a renewable energy technology solution provider. GIZZEO Biogas system, the maiden product of Cibus Technologies, solves waste and energy issues in residential homes by recycling mostly kitchen waste into cooking fuel and garden fertilizer. The company aspires to become a household name in Africa for innovative solutions to domestic challenges through the usage of renewable energy technologies.